The lecture will present a review of what has happened in the courts since 2015, with an opportunity for debate. Whether in Europe or out? Another lecture title written a year ago that turns out now to be timely. Or does it? Does tonight’s lecture come in the middle of far too much of the same? Public debate on the referendum to come in June turns regularly to – or turns regularly on – Human Rights. In the post referendum analysis, if the result is close, Human Rights may be seen as a significant - or even possibly the determining – factor. How is the debate dealing with that and other issues? This referendum will, once it is over, raise issues about open democracy including whether, with politicians seen so often to be flawed, all important issues should be dealt with by referenda, something that must soon be easy to achieve with internet voting. Will this referendum take us, and then other countries, to versions of the Swiss system of Direct Democracy, adjusted for countries larger than Switzerland? Or will exactly the opposite happen and referenda be avoided in recognition of many political problems being too complicated for the ordinary voter and best left to the politicians we elect, who must become worthy of our respect in deciding about such problems? This second alternative raises a question not proper to voice – but I must. Are some issues so technically difficult as to be inappropriate for some at least of our citizens to vote on? Should the universal franchise be limited? Should there, perhaps, be specialist voter panels for highly sophisticated referenda issues if referenda are to be held? In Switzerland frequent referendums on proposed laws influence the way both parliament and government act but within a somewhat complex process that incorporates a formalised method of opinion polling before a draft of a proposed change is even sent to the parliament - "Vernehmlassungsverfahren" [procedure to hear opinions]. This is said to be responsive to the reality that even the most sophisticated system of proportional election cannot guarantee that the opinions of the members of parliament are a true representation of people&apos;s opinions in any possible political question. The "Vernehmlassungsverfahren" gives a possibility to a broad spectrum of political parties, professional and cultural organisations etc. to put forward their wishes and views and to state where the limits for a threat of referendum would be for them, thus usually to achieve compromise without a referendum. Such reforms are not for us for now - if ever. Being honest about how much of the highly technical political, economic, cultural, legal issues that will fall for consideration in this referendum are beyond most of us to deal with competently, perhaps what the Swiss system in part achieves, raises another question. How are those voters less interested in detail or even simply less educated being addressed? How will they make up their minds? It is easy to say that they are subjected to simple-minded xenophobic excess by the tabloid and other Brexit-inclined press – and so they may be. But even they have had any vulnerability to this excess limited by the public discussion to date. As an example. Until a year or so ago the easy-going public house conversation would have had the UK subjected to ‘Human Rights’ imposed from Europe. But the debate in the heavy weight press has slowly acquainted its readers and viewers with the fact that the Council of Europe is not the EU, that the Council of Europe established the ECtHR and that the European Convention on Human Rights was drafted substantially by UK politicians, and right wing Conservative politicians at that. Even if this detail is not registered by all sectors of society the Brexit campaigners know that they cannot allow the own goal of overlooking this historical reality in a diatribe against Europe. Maybe some of the worst excesses of argument are being eliminated in a long public debate and maybe voters of all interests and education will have access to enough information for the voting decision they must make. We must hope so and in any event have no choice. The decision is ours. The consequences of the Referendum are not, I fear, just limited to being in or out of Europe. And they are to be contrasted with the decision to stay in ‘Europe’ that came - in 1975 – in the first of only two UK wide referenda held to date (the second was the Alternative Vote Referendum of 2011). That 1975 referendum under a Labour government followed entry into the EEC, precursor of the European Union, made by the Conservative Government of PM Edward Heath without direct reference to the electorate. Strong opinions on all sides led to Labour PM Harold Wilson allowing cabinet members freedom to campaign (as at present under the Cameron Government) and the result was strongly in favour of staying in - 67% on a 65% turnout - and although England was more enthusiast as a whole than Scotland or Northern Ireland, voters of only two counties – Shetland and the Western Isles – had a majority of votes cast against continued membership. What may be more important is that changes that followed – backed by a significant majority – were inevitably gradual and heated divisions at the time of the referendum could cool to manageable differences of opinion. ‘In 1975 Britain had been in the EEC for just two years and few voters were aware of any change. The press was overwhelmingly in favor. Only the communist Morning Star was Euroskeptic. The Sun, Mail, Telegraph and other papers which have been critical of the EU in the past 25 years were all strongly pro-European in 1975. The Confederation of British Industry was in favour in 1975 as were 413 out of 416 top FTSE CEOs said they supported the In campaign. The 1975 referendum was at the beginning of the Labour government which won two elections in 1974 and brought in industrial peace — at a price — after the strikes, three-day week and power shutdowns seen under Edward Heath, the unpopular Tory premier from 1970-74. In 1975 the Tory leadership, including Margaret Thatcher, was strongly supportive. There were cross-party platforms. All the big beasts of Labour — Jim Callaghan, Roy Jenkins, Denis Healey and Edward Short were in favor. The younger Labour generation of John Smith, Shirley Williams and David Owen were pro-Europe. Today the stars of the Tory Party like London Mayor Boris Johnson, or the ambitious Business Secretary Sajid Javid are openly Euroskeptic. The Liberals were in favor and had popular leaders who commanded a presence in public life. There was no UKIP. Although Harold Wilson had to allow Labour ministers and MPs to speak against Europe, the only minister with status who did so was Tony Benn who already by then was seen as eccentric and drifting out to the far left. Now Cameron has given carte blanche to any cabinet minister to play to the Tory Eurosceptic gallery. The referendum vote fuses with the vote in the next 24 months for a successor to David Cameron who has announced he is standing down as leader and prime minister before the next election due to take place in 2020. ‘Wannabe’ Cameron successors like Boris Johnson, Theresa May, Sajid Javid or Michael Gove are natural Euroskeptics. No. 10 officials reckon two-thirds of Tory MP are Euroskeptic, as is the large majority of party members. They will choose the next leader. So the temptation is for top Tories is to go for Brexit, win, and enter No. 10 as champions of the Tories who want out of Europe. In 1975 there were no limits on campaign financing. The In camp outspent the Out camp 12-1. Business poured money into the pro-Europe campaign. Nor is the Scottish referendum a precedent. That plebiscite was about a 308 year-old marriage — since England and Scotland merged in 1707 — that had done both sides proud and allowed the government to offer two massive bribes in terms of a promise of more taxpayers’ transfers, as well as the “Vow” — the pledge that the Scottish Parliament in Edinburgh would get more lawmaking power. Britain’s relationship with Europe is more like a 43-year-long cohabitation and today many in Britain find their EU partners irritating, always asking for more money, dictating the way we do business, overruling the House of Commons, and inviting all sorts of poor relatives to live chez nous. But even this sobering analysis fails to deal with the consequences - beyond the economic and political - for voters. If the result of the Referendum is to stay in, the grumbling and division will continue until and unless the UK takes a lead in Europe and makes its workings more acceptable to all or unless the economic benefits of continued membership become obvious so that sceptical opinions can be swamped by consumer contentment. Or perhaps unless a horrible armed conflict reveals the security advantage of having a leading role in such a large political entity. If, however, there is a vote to leave followed not by the peaceful acceptance that followed the 1975 referendum (and that lasted until shortcomings of the EEC and the EU allowed dissent to gather momentum) but by immediate problems that persist: currency collapse; house market collapse or even house price rocketing in London as more Oligarchs buy more homes in a ‘holiday camp’ town given the collapsed pound; reduced employment; Scottish separation and its joining Europe; reduced UK power in Europe and in the Northern Hemisphere; loss of Security Council seat at the UN etc. What then of our nation family? None of these outcomes is certain – no outcome is known – but all of these are possible. What will voters who went one way say of those who went the other? Will we, the nation, being able to pull together? I doubt it. The public house conversation might now include recrimination as ‘inners’ blame ‘outers’ or, less probably, the other way round. And if one part of the effect of voting out - and getting out - is to reinforce xenophobic aversion to foreigners – and it will, especially if we are not so able to have holiday with foreigners for reasons of visas and cost – then what may happen to internal integration of races in this country, always sensitive, never so very far from being problematic? Should we, the public, ever have been asked? The reality – whichever side ‘wins’ – is that this is a problem for the nation (apparently) but that the nation cannot properly solve because there is no consensus. Without consensus it is change itself (from in to out or, as it would otherwise be, from out to in) that should be avoided and for the same reason the Swiss Direct democracy moves by stages to avoid referenda confrontation, it seems. And for the same reason that countries with written constitutions often require substantial majorities in their parliaments for constitutional change. It was foolish party politics – of a party incapable of unity on this topic – that led to a promise that should not have been made if the interests of the people and not one party were to be paramount. But they weren’t. Unnecessary fear of UKIP and an overwhelming desire to win a general election played their parts in calling for a decision by the electorate insufficiently equipped to handle the confusing material laid before them, so that chance may decide what cannot properly be achieved by arguments that may never themselves sufficiently informed and that may regularly be bigoted. If we the people have to decide - if we are to be like ministers – then we need proper briefing papers of the kind they would have even if they, might on certain topics, allow more than one factual possibility: “Minister we calculate that it will cost £Xm; there is a contrary view that it could rise to £Zm but our advice is that the median point of £Ym is the proper safe estimate on which you should make up your mind’; ‘this proposed law, Minister, will probably work for a significant percentage of cases’; ‘this new regime at the borders, Minster, will enable us to restrain N,000 illegal immigrants per year’ etc. Instead it is the daily uncertainty of non-briefings to us the voters that the ‘NHS will sink or possibly swim’; that ‘companies will desert or possibly stay’; etc. Why are our politicians not capable of presenting clear facts for us to decide on? Because that is not what they really seek. For them – not only but specially for one tousled Blonde – playing on our anxieties and on the difficulty of our making a decision may allow the ascent for an individual of that greasy pole to leadership of our country – far more important to that individual politician than good governance of a country. Think of your own analogy, but perhaps having an infected leg and going to the surgeon for advice whether to cure it or to have it amputated. You are presented with two or three surgeons giving different advice and quite unable to agree on any of the underlying facts about the disease or the conditions of the blood vessels or the nerves. ‘Thanks Doc – or rather docs: I’ll toss a coin and here’s the saw’. And it is into this exciting discussion that the damage that Human Rights do is thrown, to help or to confuse? About as relevant to the central issues as the doctors saying: ‘Well, while you’re deciding about the saw and that leg we have a few different ENT specialists who are advising you about having your tonsils out – and by the way they can’t agree about a thing either’. This is not a democracy functioning in a way to impress others. Unsurprisingly a description of England from a French point of view ‘PERFIDIOUS ALBION’ / Treacherous Englandis back in use. Most recently it is voiced by the French whose support for the UK remaining in Europe is close to marginal and significantly less than the support of all other countries. If our voters want our country to be regarded as different from those of mainland Europe will it be for this epithet? Will it be, as some suggest, that it has been perfidy that gave us success as a colonising power? May perfidy again lead us on to greater things? Or may this be one perfidious act too many and we will pay a terrible price? This description is not something of which we should be proud. It reflects how we voluntarily joined an organisation – call it a club as people often do – knowing there would be duties and benefits and that there would be rules. It seems clear that we have a potential leadership role in the club and that many other club members want us to remain and probably to take a lead in the club’s affairs. We could stay in determined to improve the club. Instead we look for all ways in which the club is not to our liking and invite our own islanders to decide on pulling out and giving up club membership altogether. In addition to the UK’s own Human Rights Act of 1998, that by incorporating equivalent European Human Rights laws has made many references to Europe unnecessary and that has been regarded as setting the way for other countries, there are two principle ‘foreign’ sources: The European Convention of Human Rights and, later, EU law itself. Thus when we joined the EEC we had already shown real understanding, through our participation in the Council of Europe and signing of the Convention, of the value of pooling knowledge and experience in the law in order to identify and preserve for our citizens and for others in Europe what had been identified as (universal) human rights, rights that cross national borders and demand recognition and respect in all lands. By joining the EEC and EU we, as a country, took part in a more formal system where even broader laws for human rights could be given statutory force. Some might find nothing surprising in benefits coming from experts of different countries pooling their expertise – in this instance in law. And it might be unsurprising if the product of shared expertise is not disturbing at first to some of those pooling experience because it exposes their previous shortcomings or because the pooled experience will itself not get things right first time and may need future refinement. I write this opinion at a problematic time for judges, whether national or international, when deciding cases involving the human rights of those for whom the public have little sympathy. The very recent storm whipped up by the media and by certain politicians about a judgment of the Supreme Court delivered some 10 months ago, which established what many would see as a reasonable proposition that there should be a mechanism for the review of the notification requirements for those sentenced for a sexual offence, is a good recent example of a regrettable trend to attack the judiciary for unpopular decisions. But it is as nothing compared to the virulence of the attack on judges of the Strasbourg Court for a judgment delivered over five years ago and, as yet, unimplemented, which established what many in Europe would regard as an equally reasonable proposition that a blanket ban on the right of any convicted prisoner to vote, irrespective of the nature or circumstances of his offence or the length of his sentence, is difficult to reconcile with the rights of suffrage guaranteed by Protocol No.1 to the Convention. The vitriolic--and I am afraid to say, xenophobic--fury directed against the judges of my Court is unprecedented in my experience, as someone who has been involved with the Convention system for over 40 years. We are, as a Court, not unused to criticism by Governments who think we have gone too far, by unsuccessful applicants and by NGOs who think we have not gone far enough, and by certain sections of the media that miss no opportunity to attack the Court, often in intemperate and inaccurate terms. But the scale and tone of the current hostility directed towards the Court, and the Convention system as a whole, by the press, by members of the Westminster Parliament and by senior members of the Government has created understandable dismay and resentment among the judges in Strasbourg. The very limited detail that follows may be essential knowledge for any consideration of how human rights should feature in the votes we will cast in June. You may care to ask how much of this very limited detail will be known or understood by the average citizen – even by the average MP. Answers to such impertinent questions may add to mystery at how our leaders have delegated to us such technical issues for consideration. Of the two European sources that influence human rights law in the UK the first, pre-dating the EEC, was the Convention for the Protection of Human Rights and Fundamental Freedoms that was created by the Council of Europe, signed in September 1950 entering into force in 1953 with ECtHR established in 1959. The Council of Europe is not the EEC or the EU and never has been. There is no proposal that even with BREXIT that we should depart from the Council of Europe and withdrawing from the European Convention on Human Rights may not be possible. Decisions of the ECtHR are binding on member states but the court has no enforcement powers. States generally comply but not always and not always quickly – as shown by the impasse of UK government with the court over prisoners voting rights. Even less known by the public is that there is contained within the Council of Europe’s Human Rights decision making processes, a ‘margin of appreciation’. Article 8 concerns the Right to Respect for Private and Family Life. An October 1981 judgment given in ‘Dudgeon vs the United Kingdom’, dealt with a complaint that the applicant’s right to respect for his private life had been interfered with by the fact that the law in Northern Ireland criminalised homosexual activities in private between consenting adults. The Court held that there had been a violation of Article 8. While it accepted that there was widespread opposition in Northern Ireland to proposals by the United Kingdom government to de-criminalise homosexual activities between consenting males over 21, and that this had to be taken into account, this did not dispose decisively of the necessity question since the test was what was “necessary in a democratic society” and a democratic society was characterised by, amongst other things, tolerance and broadmindedness. The interference also had to be proportionate to a pressing social need, the assessment of which was within the state’s margin of appreciation subject to review at Strasbourg. The Court noted that the scope of the margin of appreciation is not the same with respect to each of the aims justifying restriction of a right and that, while in Handyside (the Little Red Schoolbook case) it had been held to be particularly wide in relation to the “protection of morals”, the nature of the activities in question also had to be considered. In a case such as this involving “a most intimate aspect of private life ... there must exist particularly serious reasons before interferences on the part of the public authorities can be legitimate for the purposes of Article 8 (2)” (para- graph 52). Such justifications as there were for criminalisation, principally the moral conservatism of Northern Irish society, were outweighed by the detrimental effects which the very existence of the relevant law could have upon the private lives of gay adult males in Northern Ireland. The fact that better understanding and increased tolerance had resulted in de-criminalisation in other member states could not be overlooked either. Article 5(3) concerns the right of someone detained to be brought promptly before a judge. In 1993 judgment in the case of Brannigan and McBride v. the United Kingdom concerned applicants who were detained and questioned under the United Kingdom’s anti-terrorist legislation for periods of 6 days 14 hours and 4 days 6 hours respectively. They complained that their rights under Article 5 (3) to be brought promptly before a judicial authority had been violated. The United Kingdom government relied on its derogation of 23 December 1988. The Court affirmed the existence of a wide margin of appreciation, both in relation to the decision to derogate and the measures taken as a result, justified by the “better position rationale” and subject to European supervision where appropriate weight would be given to such relevant factors as the nature of the rights affected, the circumstances, and the duration of the emergency. But it was not held that it is the role of the Court to substitute its view as to what measures were most appropriate or expedient since the Government has direct responsibility for striking the proper balance between taking effective action and respecting individual rights. More recently Article 3, which prohibits torture and inhuman or degrading treatment or punishment, was considered in the case of Vinter and others. This concerned whole life sentences for grave crimes and it was held that Article 3 must be interpreted as requiring reducibility of the sentence, in the sense of a review which allows the domestic authorities to consider whether any changes in the life prisoner are so significant, and such progress towards rehabilitation has been made in the course of the sentence, as to mean that continued detention can no longer be justified on legitimate penological grounds. However, the court emphasised that, having regard to the margin of appreciation which must be accorded to Contracting States in the matters of criminal justice and sentencing ..., it is not its task to prescribe the form (executive or judicial) which that review should take. For the same reason, it is not for the Court to determine when that review should take place. This being said, ... the comparative and international law materials before [the Court] show clear support for the institution of a dedicated mechanism guaranteeing a review no later than twenty-five years after the imposition of a life sentence, with further periodic reviews thereafter ... It follows from this conclusion that, where domestic law does not provide for the possibility of such a review, a whole life sentence will not measure up to the standards of Article 3 of the Convention. Do these cases cause in you the sickness that has apparently beset David Cameron when he thinks of prisoners being able to vote? Or may they seem a reasonably satisfactory result of careful consideration by intelligent men and women to the problems that will come from applying high level principles of human rights to the particular problems of individually different states? As the BREXIT debate continues until June and if you find ourselves facing an implacable ‘outer’ who says our laws are made elsewhere ask if s/he knows about the ‘margin of appreciation’. Leaving the EU would not make a difference to the Convention. What it would mean is that the UK would not be covered by EU human rights laws that are contained in the EU&apos;s Charter of Fundamental Rights (CFREU). This agreement came into force after ratification of the Treaty of Lisbon in 2009. These rights have not had as much of an impact so far as Convention rights, but are in some ways more wide-ranging. The rights and freedoms enshrined in this charter range from human dignity, the right to life and prohibition of slavery, to the right to liberty and security, protection of personal data and the right to education. But the UK has already secured significant opt-out provisions regarding this agreement. According to Protocol 1, Article 1 of the CFREU, the Court of Justice of the EU is not allowed to strike down “laws, regulations or administrative provisions” that may be contrary to the CFREU. Additionally, certain economic and social rights in Title IV of the CFREU have been deemed non-justiciable, which means that UK residents cannot take these matters to UK or European courts. Given the opt-out provisions and non-justiciable nature of particular sections of the Charter, a vote for Brexit might not be such a significant departure from the UK’s current human rights protection regime. EU human rights, as opposed to European Convention rights are important and more wide-ranging even where they&apos;re identical to what&apos;s in the Convention. EU rights can lead to more potent legal outcomes because a court can and must strike down UK legislation that conflicts with EU law—including the law of the Charter. By contrast, where there is a conflict between an Act of Parliament and the Convention, senior judges can only make a formal declaration to that effect. This is a signal to Parliament, or the relevant Minister, that it should change the law (this generally happens in practice, but not always). There has also been some debate about whether or not an addition to the Lisbon Treaty, &apos;Protocol 30&apos;, might prevent people in countries like the UK from using the Charter as freely as they might otherwise. In the negotiations leading up to the signing to the Lisbon Treaty, Poland and the United Kingdom secured a protocol to the CFREU Rights in their respective countries. The protocol, in article 1(1) states that the "Charter does not extend the ability of the Court of Justice of the European Union, or any court or tribunal of Poland or of the United Kingdom, to find that the laws, regulations or administrative provisions, practices or actions of Poland or of the United Kingdom are inconsistent with the fundamental rights, freedoms and principles that it reaffirms." 168. Under Article 1(1) of Protocol No 30, the Charter does not extend the ability of the Court of Justice of the European Union, or any court or tribunal of Poland or of the United Kingdom, to find that the laws, regulations or administrative provisions, practices or action of Poland or of the United Kingdom are inconsistent with the fundamental rights, freedoms and principles that it reaffirms. 169… Article 1(1) of Protocol No 30 therefore makes clear that the Charter of Fundamental Rights does not have the effect of either shifting powers at the expense of the United Kingdom or Poland or of extending the field of application of EU law beyond the powers of the European Union as established in the Treaties. …… Article 1(1) of the Protocol does not therefore, in principle, call into question the validity of the Charter of Fundamental Rights for the United Kingdom and for Poland. 177. In the light of the foregoing, the seventh question must be answered to the effect that the interpretation of Protocol No 30 has not produced any findings which could call into question the validity for the United Kingdom of the provisions of the Charter of Fundamental Rights which are relevant in the present case. Impact of EU human rights law is demonstrated in recent case on surveillance, a case brought by two MPs, David Davis and Tom Watson, shows the potential that the Charter has to impact on UK law, with or without the Convention. The Divisional Court, applying the CJEU’s Digital Rights Ireland judgment of April 2014, had declared the data retention provisions of DRIPA 2014 to be incompatible with the EU’s Charter of Fundamental Rights. Mindful of the fact that courts in six other Member States had applied Digital Rights Ireland in such a way as to invalidate national data retention legislation (para 117(3)), it decided to refer questions to the CJEU along the following lines (para 118), their precise form to be determined: Did the CJEU in Digital Rights Ireland intend to lay down mandatory requirements of EU law with which the national legislation of Member States must comply? Thus, an important law authorising interception of communications data would have to go (although the court suspended the effect of its decision until 31 March 2016). On November 20, 2015 The Court of Appeal gave its judgment on the Government’s appeal against the Divisional Court. The Court of Appeal’s judgment will be of considerable comfort to the Government, which decided not to enshrine in its draft Investigatory Powers Bill the full range of protections relating to access to communications data that the Divisional Court had indicated in July were required by Digital Rights Ireland. But the Court of Appeal deferred to the Court of Justice of the European Union (CJEU) for a final determination of the issues. The CJEU has listed the case (C-698/15) for oral hearing on 12 April: exceptionally rapid expedition. It appears quite possible that judgment will be given before the Investigatory Powers Bill has completed its parliamentary passage in the autumn. An October 2014 publication by the Conservative Party perpetuated a number of myths – also believed in by many others - regarding the UK Human Rights Act that is has announced it will scrap (but has postponed doing on two occasions) such as that the European Court of Human Rights decisions are “binding” (they are not) and that he court can also “order” changes to UK laws (it cannot). Yet the biggest threat to parliamentary sovereignty remains European Union (EU) membership, not the operation of the HRA. In fact, the HRA’s processes and procedures may actually work to protect such sovereignty simply because the ECtHR does not have enforcement powers regarding its decisions on British law (see the prisoner voting rights cases), whereas the Court of Justice of the European Union does. A Brexit vote would not mean the scrapping of the HRA, only the imminent repeal of the European Communities Act 1972. The rights in the HRA repeating the European Convention on Human Rights (ECHR) would remain intact, as would the ECtHR’s watch over these rights. And although the ECtHR does not have enforcement powers, it does perform an invaluable role regarding human rights discussion and debate throughout the EU. Should a vote for Brexit occur, workers’ rights (such as paid holiday, maternity leave, and fair treatment at work) would be affected because EU membership provides for transfer of undertakings (TUPE) rules, which offer some form of protection for workers whose jobs are transferred or outsourced. Whether these will be replaced with similar measures has yet to be addressed by the Government. Thus, a vote for Brexit could mean a vote against the continuation of particular EU labour rights. How bad have human rights laws been for us here? No 1: In 2001 the UK, along with the rest of the world, was reeling in the aftermath of 9/11. Mingled with the sense of tragedy was fear and panic: could this be an unprecedented emergency? Under the European Convention of Human Rights, in a public emergency, states are allowed to make laws that violate rights, as long as they are strictly necessary. So Parliament did declare a state of emergency. It then gave the Home Secretary new powers to detain foreign terror suspects indefinitely, without charge or a trial. In December 2001, eight people were detained indefinitely in Belmarsh prison using the new powers. None had committed or been charged with any crime. In 2004, three of them were still in prison – and still without any charge or a trial. They challenged their imprisonment. The case reached the House of Lords, the UK’s highest court at the time. The judges had to decide whether there was a public emergency and, if there was, whether the indefinite imprisonment of foreign terror suspects a necessary and lawful response? Almost all of the judges decided there was a ‘near permanent’ state of emergency from terrorism. The UK could excuse itself from some human rights obligations to deal with the terror threat. But they also decided that indefinite imprisonment without trial ‘wholly negated’ the right to liberty, so was a disproportionate measure. Also, the new powers applied only to foreign people even though part of the terror threat came from British citizens. This was unreasonably discriminatory. So the judges declared the law to be incompatible with the Human Rights Act. This did not invalidate the law, but Parliament subsequently decided to repeal it. The case was a pivotal and important statement on how far we can treat suspected foreign terrorists differently to other criminal suspects. It was also a powerful reminder of the importance of having independent judges assess the legality of the government’s decisions. Lord Hope said an independent judiciary holding the government to account is ‘a cardinal feature of the modern democratic state’. Even in an emergency, the law cannot be ignored. And everyone’s right to freedom must be protected. No. 2: Mr Goodwin was a journalist. On 2 November 1989 he received a call from a source with information relating to a company called Tetra. Tetra was in the middle of negotiating a £5 million loan. Tetra was also in serious financial difficulty. The source’s information revealed the extent of this. The information came from Tetra’s confidential corporate plan. Only eight copies of the plan were made and provided to Tetra’s senior employees and advisors. One copy was with Tetra’s accountants, in a room at Tetra’s premises. Between 3pm and 4pm on 1 November 1989, the room was left unattended. During that period the file disappeared. The UK court ordered the papers not to publish the confidential information. The court also ordered Goodwin to reveal his source, so Tetra could bring a claim against the source and prevent further disclosure of the leaked information. Goodwin refused to name his source. The court fined Goodwin £5,000 for failing to comply with its order. 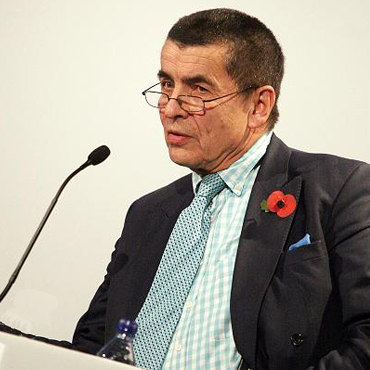 Goodwin went to the European Court of Human Rights, arguing that the order to reveal his source, and punishment for failing to do so, violated his right to free journalistic expression. He won his case. The Court emphasised the importance of free expression as one of the essential building blocks of a democratic society. It stressed that the protection of a journalist’s sources is one of the basic conditions for press freedom. If press sources are not protected, they will be reluctant to help the press inform the public on matters of public importance. Free expression is not just about expressing your own opinion. It also includes the right to receive and share information. Incriminating journalists like Goodwin for refusing to identify a source would harm this free flow of information. Instead, the result highlights the importance of a liberated press in a democratic society. No. 3: Until fifteen years ago, the UK Armed Forces didn’t allow gay men and women to serve. It was only after a human rights case, involving four people who had been dismissed for being gay, that the Armed Forces changed its policy. Jeannette Smith and Graham Grady were members of the Royal Air Force. Janet was a nurse and Paul was a senior clerk in Washington. Both excelled at the jobs. Then, their superiors found out they were gay. After being subjected to a series of intrusive and humiliating interviews about their personal lives, they were both dismissed in 1994. They wanted to challenge this decision so brought a claim to the UK court. The judge strongly disagreed with the policy that gay people could not be part of the armed forces. But, he was bound by the law so the challenge had to be rejected, “with hesitation and regret”. All the court had the power to do was to ask whether the decision made by the government was irrational, which is a very difficult bar to reach. Nevertheless it was hinted that if they took the case to the European Court of Human Rights they would have more success, so that’s what they did. The European Court said enough was enough. Jeannette and Graham’s human rights had been violated by the policy, particularly, their right to privacy and to not be discriminated against. This case was heard before the Human Rights Act came into force, which is why it had to be resolved in Strasbourg. Nowadays, cases like this do not have to go to the European Court to get the same protection. And, thanks to Jeannette and Graham, in 2000 the Ministry of Defence changed its policy to allow gay people to serve openly and with pride. No. 4: (Dudgeon – as above) Our Parliament decriminalised homosexuality in 1967– but only in England and Wales. Homosexual acts remained criminalised in Scotland and Northern Ireland until 1981 and 1982, respectively, but only after landmark rulings changed the face of gay rights in Europe. Jeffrey Dudgeon was a shipping clerk and gay activist in Belfast, Northern Ireland. In 1975, police came to his house to conduct a search. Police officers proceeded to comb through Dudgeon’s diary entries and personal documents, which contained descriptions of his homosexual activities. The next day, on the basis of these descriptions, police interrogated Dudgeon for four and a half hours on his sexual activity – a distressing intrusion into Dudgeon’s private life, which caused him great harm. As a result, he filed a complaint which was then passed on to the European Court of Human Rights. In 1981, Dudgeon was vindicated: the Court ruled that Northern Ireland’s criminalisation of homosexual acts between consenting adults violated his right to respect for his private and family life, as guaranteed by the European Convention of Human Rights. Dudgeon’s case represents much more than one man’s fight: it directly paved the way for Northern Ireland’s decriminalisation of homosexual acts in 1982, and also set a landmark legal precedent which has been used time and again to defend gay rights across Europe. Most recently, Dudgeon v. United Kingdom was cited in the US Supreme Court’s ruling in 2003, finding 14 US states’ criminalisation of homosexual acts to be unconstitutional. No. 5: In 1999 Diane Pretty received devastating news: she had Motor Neurone Disease. She was going to die a protracted and painful death. Her condition deteriorated rapidly. By 2002, Diane was paralysed from the neck down, she had virtually no decipherable speech and had to be fed by a tube. In fear of the prospect of a painful and undignified death, Diane wanted someone to help her end her life. She applied to the government to guarantee that her husband would not be prosecuted if he helped her to die. Since assisted suicide is illegal in the UK, the government refused. Diane took her case to the European Court of Human Rights. She argued that the right to life included the right to choose whether to go on living, and that this was infringed by the current UK law. But the court decided that none of her human rights had been unfairly restricted. The judges said that the right to life was not determined by the quality of the life in question. So it could not be interpreted as giving us a right to die. Diane died on 11 May 2002, a month after the ruling. She told reporters that “The law has taken all my rights away.” The outcome of her case suggested that a challenge to the illegality of assisted dying in the UK is unlikely to succeed on human rights grounds. Some people may see this as a human rights victory, others as an example of how the European Convention does not give us enough rights. A number of cases have followed Diane’s, and on each occasion the courts seem to have inched a little closer to the result which Diane wanted. Ultimately the right-to-die debate will probably have to be resolved by our Parliament. For now, there is no right to die. In that article he explains how Strasbourg has, on occasions, drawn upon English law to determine issues of wider interest for contracting parties; in one case, the thorough analysis of the Immigration Appeal Tribunal in England helped the ECtHR decide a case that had the capacity to impact national practice in a number of European jurisdictions including those of Denmark, Finland, France, Germany and the Netherlands. The ECtHR’s decision in Salduz v Turkey (2008) set a groundbreaking precedent in the area of custodial legal assistance—the right to access to a lawyer whilst in police custody—, and prompted legal reforms in countries which, for varying historical, political, cultural and institutional reasons, had long resisted legislative change along those lines. On its part, it took Ireland six years to start crystalizing into law important aspects of the right to a lawyer in police custody. In DPP v Gormley and DPP v White, the Irish Supreme Court recognized the right not to be interrogated without previous legal advice and, more specifically, the right not to be interrogated “after a request for a lawyer has been made and before that lawyer has become available to tender the requested advice”. The Court emphasized that, “[a]t a minimum”, the right of access to a lawyer while in custody “would be significantly diluted if questioning could continue prior to the arrival of the relevant lawyer”. In 2009 four men appealed against their convictions on the grounds that their alleged victim’s written statement should not have been admitted because it was hearsay that can only be admitted only if it comes within exceptions in the Criminal Justice Act 2003. The legislation includes important safeguards designed to ensure a fair trial. The men’s appeal was based on article 6 of the human rights convention, the right to a fair trial, which includes the right to examine prosecution witnesses. They relied on a ruling that the human rights court had delivered a couple of months earlier. In Al-Khawaja and Tahery v UK, a chamber of the court had ruled that article 6 would be breached if a conviction had been based solely or decisively on statements that a defendant had received no opportunity of challenging. A five-judge appeal court led by the present lord chief justice was able to find that there had been no breach of article 6. The European court had misunderstood English hearsay law. Since the Strasbourg judges had got Al-Khawaja wrong, the English court dismissed the four men’s appeals. A couple of months later, the men appealed to the UK’s highest court. And in December 2009, the Supreme Court agreed with the court of appeal. Speaking for a unanimous court, Lord Phillips, the president, recalled that exceptions to the hearsay rule had been approved by parliament. “The requirement to ‘take into account’ the Strasbourg jurisprudence will normally result in this court applying principles that are clearly established by the Strasbourg court,” Phillips acknowledged. “There will, however, be rare occasions where this court has concerns as to whether a decision of the Strasbourg court sufficiently appreciates or accommodates particular aspects of our domestic process. In such circumstances it is open to this court to decline to follow the Strasbourg decision, giving reasons for adopting this course. “This is likely to give the Strasbourg court the opportunity to reconsider the particular aspect of the decision that is in issue, so that there takes place what may prove to be a valuable dialogue between this court and the Strasbourg court. This is such a case. That dialogue involved two stages. First, the government lodged what amounted to an appeal against the Al-Khawaja judgment. In December 2011, the court’s grand chamber modified its earlier ruling. The Strasbourg judges agreed with their British counterparts that a conviction based solely or decisively on the statement of an absent witness would not automatically result in a breach of article 6. However, there would still a breach of the defendant’s rights unless there were counterbalancing factors, including strong procedural safeguards, to compensate for the difficulties caused to the defence and the dangers of relying on hearsay evidence. But that left open the question of whether there was a breach of article 6 in the Horncastle and Marquis cases, as there had been in one of the two cases covered by the Al-Khawaja ruling (that of Tahery). We now have the Strasbourg chamber decision applying Al-Khawaja to the facts of these cases. In the Horncastle case, the court concluded it was “more than arguable”, in the light of other incriminating evidence, that Rice’s statement was not decisive in the sense that it determined the outcome of the case. And even if it was “there were sufficient counterbalancing factors to compensate for any difficulties caused to the defence by the admission of the statement”. So there was no breach of article 6.In the Marquis case, the Strasbourg judges were satisfied there was good reason for Miles’s failure to attend court and give evidence. The trial judge had found she was “petrified, genuinely in distress”. Moreover, “in light of the other strong incriminating evidence in the case, it cannot be said that [her] statement was of such significance or importance as to be likely to determine the outcome of the case against the applicants. Her statement was therefore neither the sole nor the decisive basis of the applicants’ convictions.” So there was no need to consider whether there were sufficient counterbalancing factors. Once again, the judges were unanimous: there was no breach of the human rights convention. These rulings, though not surprising, are clearly just. But the Horncastle dialogue has a deeper lesson for justice secretary and other Conservatives who argue that the Strasbourg court’s rulings should be advisory rather than binding. Sure, there is no “democratic override” – no parliament can overturn the decisions of the court’s grand chamber – but the European court, like any other institution, is capable of getting things wrong. And, when it is persuaded that it has made a mistake, it is not too grand to think again. Crucially, it was persuaded to do so in this case by the careful reasoning of the court of appeal and the Supreme Court. That’s what the court would lose if the UK pulled out of the human rights convention. Given the intention forged in 1948 to share decision making with others through the Council of Europe, an exercise that has identified and reinforced rights through a court accessible to individuals as well as to other entities, given the margin of appreciation of ECtHR matters and given the overlap of the Convention and the EU Charter, that has NOT to date brought many judgments hostile to the UK, why are we now being invited to revert to nation state law on the basis we always know best, cannot learn from foreigners and no longer wish to colonise others with our ideas as we often enough trumpet we did when colonisation was in full swing? I express no view on the referendum itself. I do doubt whether consideration of Human Rights law should play any part in what may properly be decided on security and economic grounds. If, contrary to my advice, you remain tempted to consider the Human Rights / Brexit arguments I would invite you to return – in your imagination – to that confused medical consultation and to forget the ENT specialists and to concentrate on the men with the saw. Denis MacShane is Labour’s former minister of Europe and author of “Brexit: How Britain Will Leave Europe” (IB Tauris, 2015). Perfidious Albion – “Treacherous England,” “Faithless England,” or, if you prefer, “Dirty, Low-down, Sneaky England” – is commonly assumed to derive from the French La Perfide Albion. The epithet’s best known appearance is in the 1793 poem “L’ere de Francais” by the Marquis de Ximenez. Vinter and Others v. the United Kingdom, judgment (Grand Chamber) of 9 July 2013, §§ 119-122).